WEST PALM BEACH, Fla. — With the racing season getting underway at many International Hot Rod Association (IHRA) tracks now is the best time to join the IHRA with exclusive benefits only available to members. Members who compete in the new IHRA Summit Sportsman Spectacular program are also eligible for other exclusive IHRA member contingency and bonus prizes. Cash bonuses go to the IHRA Summit SuperSeries member who advances the furthest in eliminations. Along with that, the national contingency program is available for all IHRA members who advance to the final two rounds each day. 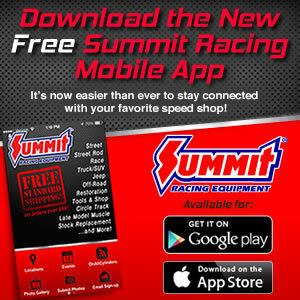 In addition to the available cash contingency program, Summit Racing Equipment’s contingency program will award Summit gift certificates to the winner, runner-up and semifinal finishers in Box, No Box, and Juniors. IHRA members can also race for track championships through the Summit SuperSeries at nearly 100 IHRA-sanctioned members tracks. Through the $200,000 program, they have the opportunity to advance to the IHRA Summit World Finals in Memphis where the Top (Box) and Mod (No Box) champions receive $20,000 in prize money, a World Champion Ironnan trophy, a World Champion diamond ring and an eight-day, seven-night vacation in Aruba. The Summit SuperSeries Junior Dragster champion prize package includes $3,000 from Summit Racing Equipment, an IHRA Gold Card, a World Champion Ironman, a World Champion diamond ring, and a turn-key dragster from American Race Cars. Additionally, there will be a 10 percent discount on any IHRA apparel ordered through the IHRA website. This brand-new apparel will be coming soon.